Super bright white LED long lasting light. Excellent replacement for old flashlights. Silver color. Srews like a light bulb. Push button on timer and light turns Off automatically after selected time duration from 1/2-Hr to 12-Hrs Electrical extension cord for indoor use 120VAC, UL Listed. Ten feet long white color. 4-Pack Why Change Another Bulb? Makes Your Bulbs Last Longer. Just plug it in. Value Pack Of Two Units Rotate Dial To Dim & Create The Perfect Mood Super bright white LED long lasting light. Excellent replacement for old flaslights. Black color. Super bright white LED long lasting light. Excellent replacement for old flashlights. Red color. Candelabra Dusk-To-Dawn Light Control. Pays For Itself In Bulb Costs & Energy Savings Tuns lights ON at dusk and OFF at dawn Automatically Turns Lights On At Dusk & Off At Dawn. Compact classic design. Gray color. 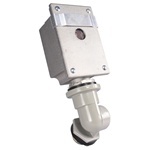 Works With Compact Fluorescent Light Bulbs Gooseneck Swivel Design, Slim Profile Works Well In Tight Locations Plug-In Touch On/Off Switch Easy On/Off - Works With Compact Fluorescent Bulbs! 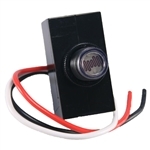 Replacement Photo-Control For 240V-277V Street Lights, Yard & Parking Lights What A Convenience! Place A Touch Wall Plate Switch Anywhere. 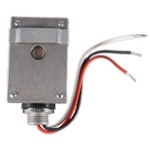 Does Not Require 120V Hard-Wiring! Value Pack. Pays For Itself In Bulb Costs And Energy Savings Activates With Natural Sunlight Activates With Natural Sunlight Adds Safety & Security! Battery Operated - Requires No Wiring Value Pack of Three Candelabra Dusk-To-Dawn Light Controls. 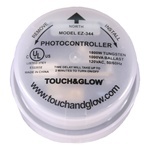 Saves Energy And Money Fits Easily In A Pocket Just Screw-In & Touch Pad For Easy On/Off. Long Touch for Dim or Brighten. Saves Energy, Bulbs, Money and Electricity.